I love showcasing all the fabulous small, home based businesses that I get to work with. 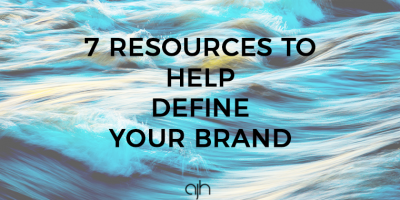 There are so many inspiring women and mothers who are out there hustling to help support their families, creating a space just for themselves and doing what they love. Clarissa from Hooked in a Box is one such person. 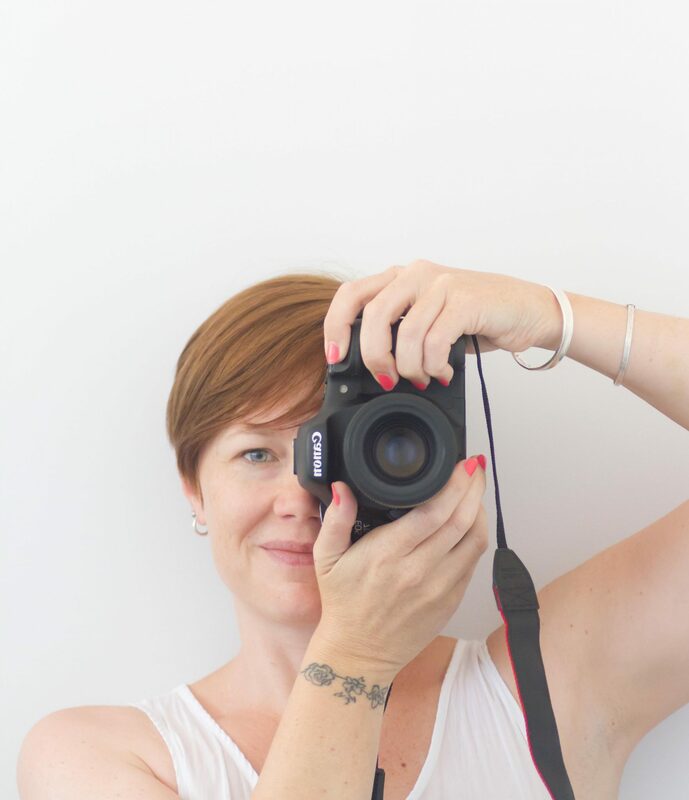 With a corporate background in a science-based industry and a transformation into a creative entrepreneur, we have very similar stories and it was so lovely to connect. Clarissa knew her brand and her target market well so her session came together beautifully as you’ll see from the images that we created. 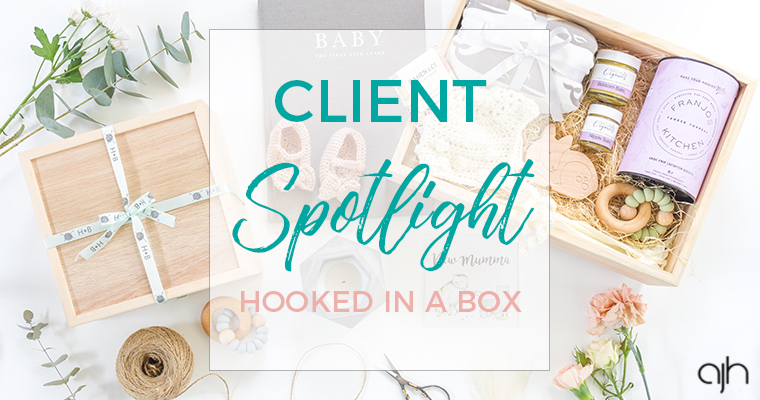 I’ve decided to change up the format of my Client Spotlights a little so you get to know more about the stories behind the business and the people that are responsible for them. So here’s a little fun Q&A session that I had with Clarissa. Enjoy! I am the owner of Hooked in a Box. 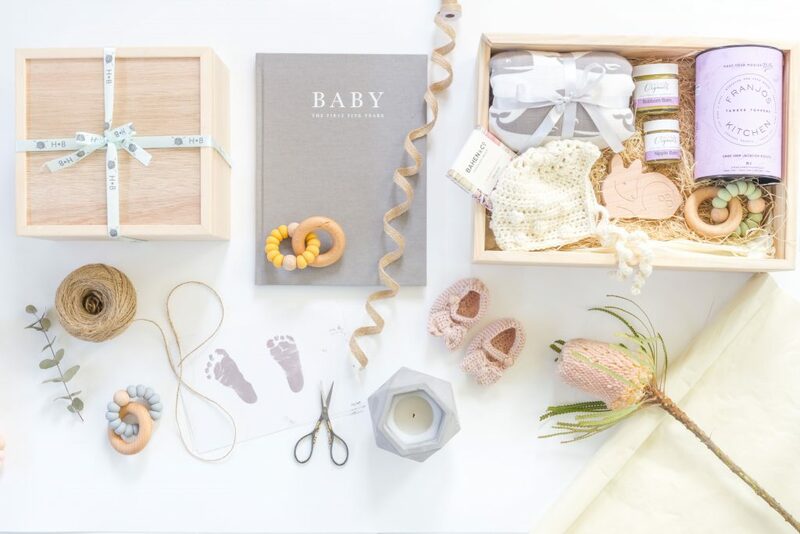 Hooked in a Box is a curated gift box studio company that handpicks and creates customised and personalised gift boxes for Mum and babies. 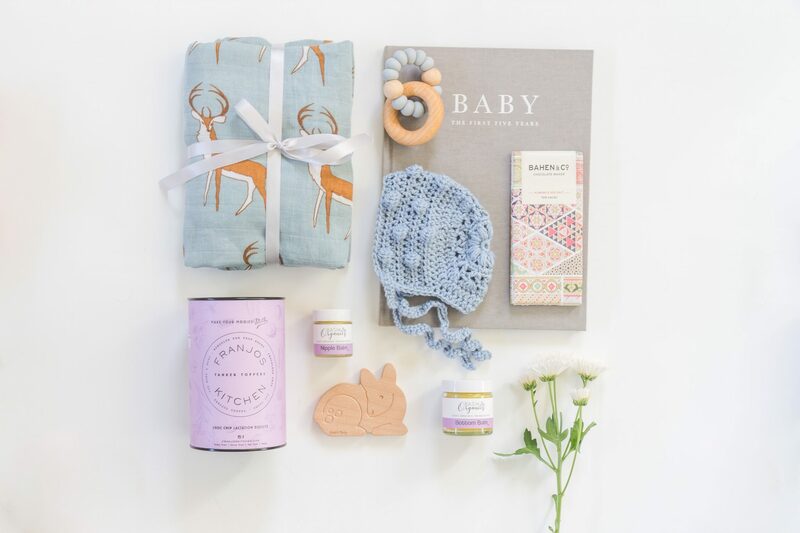 Our passion is to create pure, classic and signature gift boxes that are filled with carefully sourced products that are handmade, natural, organic, eco-friendly wherever possible, for Mum and baby. 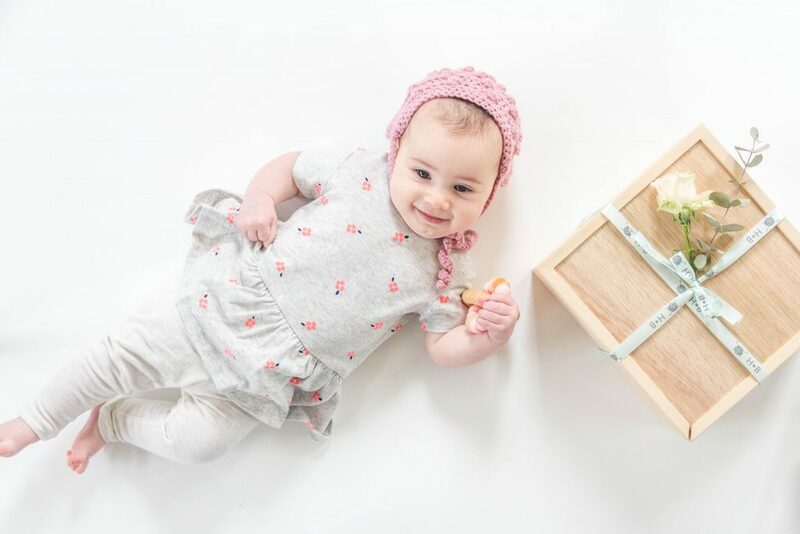 All our gifts come packaged in our signature wooden keepsake box made from forestry-certified timber wood. We provide an additional service of having initials or names burned into the wood, creating a truly refined keepsake. 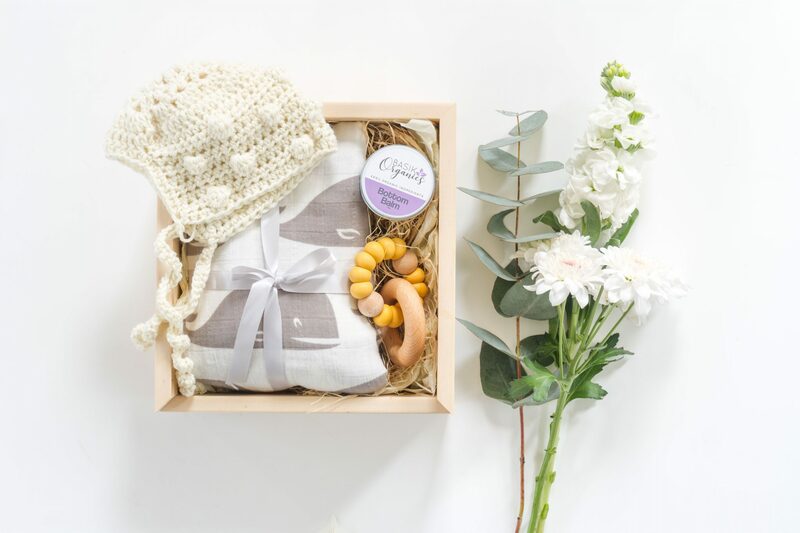 We believe in handmade gifts as an expression of thought and love, and we include a personal hand-crocheted item with a handwritten note in every box. 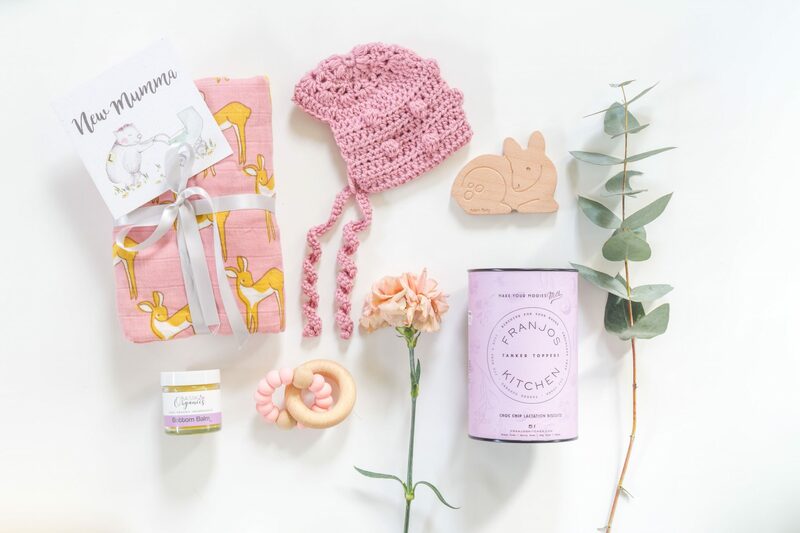 We care for mothers and babies and contribute to the charity of our choice, that being Birthing Kit Foundation Australia and Perinatal Anxiety and Depression Australia. 2. Have you always been in small business? If not, what did you do before starting on this path? This is my second business. My first business was in cake decorating and it was a hobby I had that I turned into a business, as a side gig for a long time. 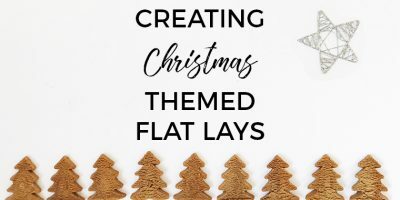 But when I decided I wanted to go into business full-time, I did not want to do cake decorating full-time so I started my second business, Hooked in a Box. Before I started Hooked in a Box, I was working as a part-time medical research scientist doing cancer research. 3. What do you think about when you’re driving in the car? I usually turn on relaxing music and think about ideas. My best ideas come to me when I am driving, and I sometimes have to stop the car at the side of the road to record my ideas before I forget them. 4. What’s the best piece of business advice that you’ve received? Don’t compare yourself, and don’t care about your competitors. Know what they are doing for your benefit, but believe in yourself and your product and your tribe will find you. 5. Who is your business idol? Oprah – classic rag to riches story. I value and respect business people who start from scratch and worked their way up. 6. What’s a song you know all the words to? Bizarre Love Triangle by Frente! 7. Who should we follow on Insta? 8. What do you do outside of biz? 9. What was the last new thing that you tried? 10. 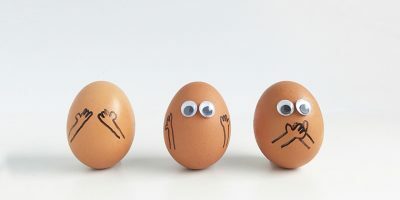 What are you excited about? Having the opportunity to stay home and be with my girls while working at a job I love – running my business. Hooked in Box have just released a Pamper Mum box that I will have the pleasure of photographing at our next session along with a beautiful collaboration. You’ll have to stay tuned to find out who it is! 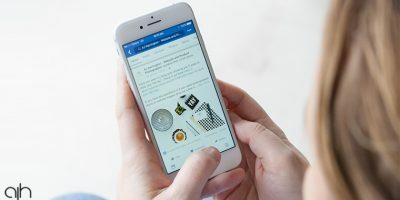 You can find Hooked in a Box on Facebook and Instagram and be sure to check out Clarissa’s full range of gift boxes on the website. This is done so well Amanda! Love it! I loved reading about Clarissa and her business. I love reading and knowing other creatives…and love that I am not the only one that geta their ideas whilst driving and has to write them down. I look forward to reading more about the creatives you collaborate with!